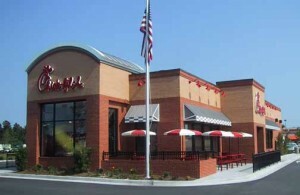 Chick-Fil-A is a great story of a brand that has been building itself from the inside out since it began. Truett Cathy opened “The Dwarf Grill” just outside of Atlanta in 1946 which has now grown to be the wildly popular and fast-growing chain that millions have come to know and love as Chick-Fil-A. They have never strayed from their core values and beliefs which can be found from the top of the organization, to the owner/operators of the franchise stores to the friendly face taking your order at the drive-thru window. Rarely, if ever, will you find a Chick-Fil-A team member who doesn’t end their customer conversations with “My Pleasure”. It’s their pleasure to have you visit their restaurant and to serve you quickly. Here’s a great interview that ABC News conducted with Dan Cathy, President and Chief Operation Officer that will give you great insight into how they have become who they are. What’s been your observations of Chick-Fil-A? Have you experienced their brand?